This little book packs a lot of punch! Close up photographs of kids and families who look like theirs will help young Latino readers identify with its contents. Each section focuses on one aspect of Latino culture, such as language, food and music. The language section includes greetings in Spanish with smaller English translations in parenthesis. To underscore the broad scope of Latino culture, the music section includes tango, bolero, salsa, balada and flamenco. The section on family includes the typical extended family with abuelita as an essential caregiver. 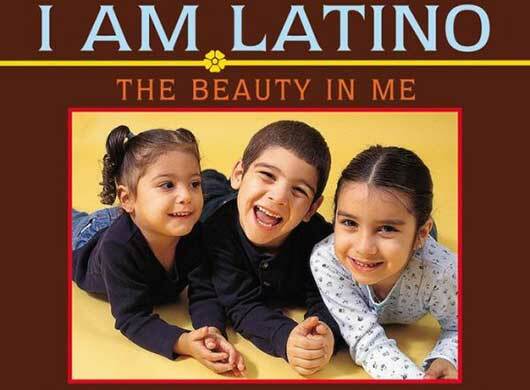 The recurring refrain connecting “beauty” with being “Latino” sends a powerful message to young readers. A kaleidoscope of skin colors, hair types and body sizes showcases Latino physical diversity. It is only too bad that blond Latino children will not find themselves reflected in this darling book. Nonetheless, caregivers should read and reread this book with children every chance they get. Read Related: How Far Do You Love Me? This celebration of Latinos and their culture is also well suited for older children, for whom you may want to consider purchasing the larger, original hard cover edition. —Reviewed by Gisela Norat, Agnes Scott College, Atlanta, Georgia.